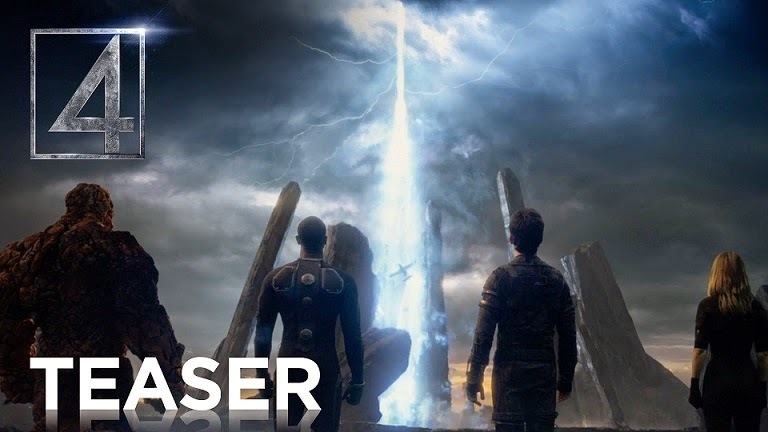 An alternate trailer for "The Fantastic Four" has leaked online. Arriving online via Youtube, the trailer is attached to "Kingsman: The Secret Service" which is currently playing in theaters. The alternate trailer offers a brief addition of what appears to be Johnny a.k.a. Human Torch and Sue Storm a.k.a. Sue Storm flying through the sky in blue and red flash. "The Fantastic Four" reboot is set to arrive in the U.S. on August 7. Miles Teller plays Reed Richards or Mr. Fantastic, Michael B. Jordan is Johnny, Kate Mara plays Sue, Jamie Bell plays Ben Grimm or The Thing and Toby Kebbell joins the cast as the villainous Doctor Doom. The movie is directed by Josh Trank with a script by Simon Kinberg. Speaking to EW earlier this month, Kinberg chatted about the movie's teaser trailer and what fans could expect from the flick. "What we were trying to tell people was: here's the tone of the movie," he said of the trailer. "My favorite trailers are the ones who set the world, the tone, the voice of the movie, without telling you too much about the story." "It's much more akin to what the Ultimate Fantastic Four series did," he added of the movie. "This is a Fantastic Four movie that takes character seriously, that has hard-tech science-fiction, and it has an intensity that you may not expect from this franchise."